Be still my beating heart. 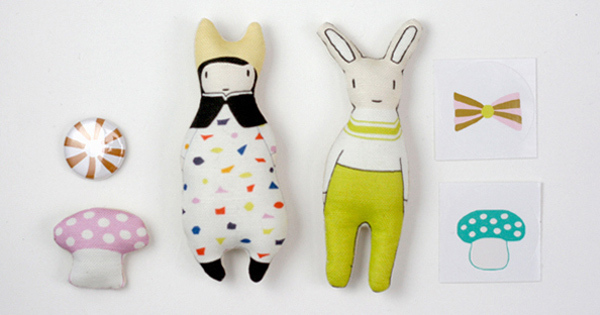 Such a delicious sounding French name promises great things and you won’t be disappointed – a heavy dose of cute lies in wait for those who like their soft toys a little different from the rest. 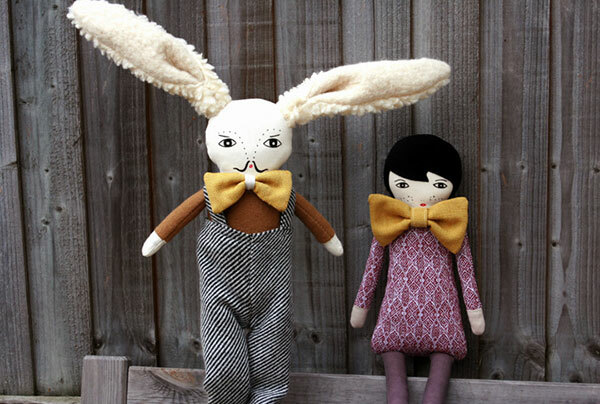 The Le train Fantôme line-up includes handmade soft toy characters by the name of Little Ozzie, Babette, Lumi, Lewis, May and Lucius – all designed and lovingly created by French born Fanja Ralison. It’s here that you will also find beautiful prints such as the Mini Lucius Mini Print (priced £7), fun Spring Button Badges (priced £4) and my pick of the bunch, Le train Fantôme Surprise Box. For just £14 the Surprise Box is a gift box contains a sample of all things beautiful from Le train Fantôme – a super cute mini Babette or Mini Ozzie (or have both for an extra £4), a mini mushroom, a button badge and two round stickers. All items are available directly from Le train Fantôme, with worldwide shipping from the UK.